The Water Sentinel is a centralized data management system for water and wastewater, with emphasis on land application. Each client site is password protected, allowing access only by approved personnel. Data reports can copied into various desktop applications such as spreadsheets. 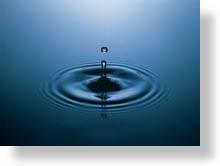 Click on the button to the left to login to your facility's Water Sentinel site. Or if you are a new visitor to our site, click on the icon to the right to view our demonstration site. If you would like more information regarding the Water Sentinel, please contact sara.rodriguez@cascade-earth.com or your project manager.